The TruPace M100 Treadmill is a compact folding treadmill. The M100 includes a blue back light LCD display, 13 challenging programs and a powerful 2.0 continuous duty motor.If you're looking for a treadmill discount, the TruPace M100 is the one for you. Even at this low cost the M100 comes loaded with features to make your workout easier. This compact folding treadmill takes up very little room and the soft drop feature makes unfolding it for your workout easy too. *Note: Most of the sites, stores or shopping portals listed above sell TruPace M100 Treadmill with discounts and other exciting offers. 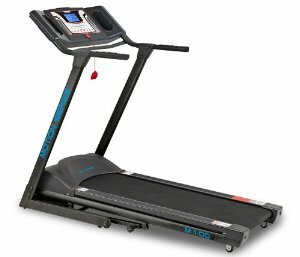 There is a possibility that the some of above websites are not selling TruPace M100 Treadmill now. Toughtrain.com is not liable for such cases or instances. Also we do not recommend any seller for TruPace M100 Treadmill and a buyer should buy from where he/she gets best deal with quality of products, service and on time delivery (shipment).